With an estimated population of 3,661,868, Panama is listed at 134th when it comes to community. 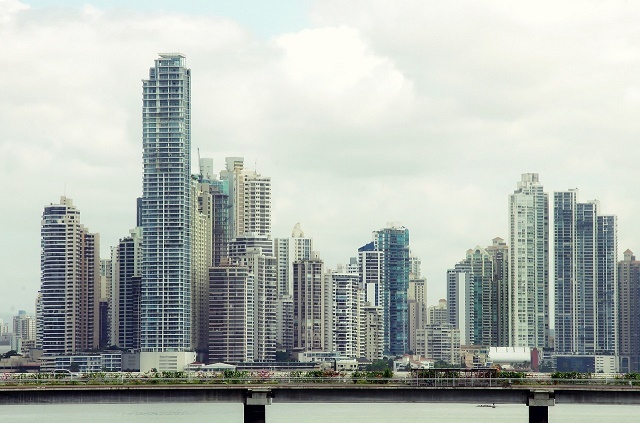 Expats moving to Panama will find that this Central American nation has a high ranking when it comes to human development index, making life in this country most favorable. Panama is also known to have the biggest economy in the region, relying mostly on the sectors of banking, commerce, tourism and trading. In January 2014, International Living’s Global Retirement Index 2014 ranked Panama as the top destination for foreign retirees. “Nearly everything about Panama is convenient, particularly if you’re coming from North America. The currency is the US dollar, English is widely understood, and the international community is large and welcoming, and you can find anything you need, from gourmet ingredients to popular clothing brands,” the US publishing group wrote. The strength of the Panamanian economy is primarily attributed to its geographical location. It connects North and South America and controls the Panama Canal, which is a key conduit for international maritime trade. The Canal connects the Atlantic Ocean and the Caribbean Sea to the Pacific Ocean. Aside from toll revenues, the Panama Canal directly and indirectly provides employment to the nation’s 1.78 million workforce population. Panama’s unemployment rate is one of the lowest in Latin America at 2.7%. Jobs are concentrated in a well-developed service sector - construction, banking, commerce, tourism and trading industries. “Panama has always been known for its above-average infrastructure. But the current administration upped the ante in ways never before seen,” International Living said. In 2006, Panamanians voted for the construction of the third set of locks for the Panama Canal, boosting demand for construction workers, engineers, surveyors, and project managers. The economy is also expected to add 100,560 new logistics jobs from 2014 to 2024. Construction companies are currently hiring project directors, quantity surveyors, monitoring technicians, maintenance and planning engineers, 3D designers, and collection analysis. Medical services, including ambulatory care, are extended to all individuals in Panama. Foreigners are covered under the state-funded healthcare insurance for their first thirty days in the country. The Foreign visitors who wish to use this insurance service must arrive through Tocumen Airport, as proven by their passport stamp. However, many locals and expats opt for private healthcare for better coverage at low costs. Private insurance plans cost just a fraction compared to the cost of care in the US. Expats are strongly advised to seek care from private hospitals as public healthcare centres are often crowded. Patients typically wait for several hours to receive medical care even in emergency rooms. Most of the hospitals recommended for expats are located in the capital Panama City. These medical facilities, which maintain connections with foreign institutions, include Hospital Punta Pacifica, Paitilla Hospital (Centro Médico Paitilla), Hospital Chiriqui, Hospital Nacional and Hospital Santa Fe. Located in the middle of Central and South America, Panama is famous among many expats for its tropical climate, vibrant communities and upbeat vibe. Its famous Panama Canal plays a significant role in trade and export which makes Panama City, the capital, a huge name in the business industry. Many drastic changes entail your relocation abroad. But Panama ensures that its natural beauty and prosperous economic status will see you through. Read on the next few guidelines that will help you in your transition. Rental advertisements in Panama can be found in newspapers, the internet, billboards and rental signs outside the properties. But if you have the budget and want your search to be faster, you can hire a local real estate agent. They know the neighbourhoods very well and can help you transact with landlords who do not speak English. Utilities are not included in your monthly pay, but maintenance like garbage collection, security, etc. are covered by your rent. In Panama’s main cities, the average cost of your utilities (water, electricity and gas) is €80 per month. You can also apply for internet connection which is around €40 monthly. 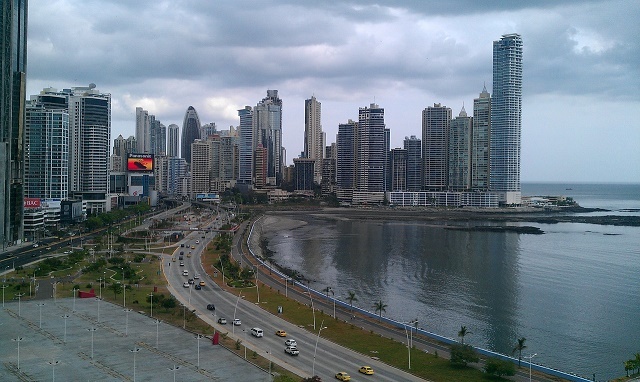 Panama has a broad range of options in the housing market. Those who prefer short-term rental find accommodation in hotels or bed and breakfasts. But if you are looking for a long-term lease agreement, you can choose between houses, apartments and villas. Most expats live in apartments inside gated compounds in Panama City, the centre of the country. Here, a one bedroom apartment typically costs €1000 per month, and a three bedroom unit is around €1700 per month. You can also find accommodations outside the major cities where the average monthly price of a one bedroom apartment is €500 and €1000 for a three bedroom unit. Education is free and compulsory for kids up to 15 years olds. Most public schools in Panama use Spanish as the primary language in teaching that’s why it is more advisable to enrol your child in international schools like the Panama Coast International School. The country’s Ministry of Education regulates Panama’s public schools like the University of Panama which is providing quality education since 1935. Many shipping and removal companies offer door to door service to Panama. They will pick up your belongings from your address and facilitate the whole the moving process until your belongings are securely delivered to your new home. The average shipping time it takes for the containers to arrive in Port of Balboa, Panama Canal is 13 days and around 14 days in Port of Cristobal, Colon District. For more information about Panama’s import regulations, click here. All pets entering Panama should have the original Rabies Vaccination Certificate and Veterinary Health Certificate (issued within ten days of the flight). There is also a home quarantine period required by the government of Panama. To do so, you need to provide your name, pet’s name, passport number, gender, breed, type, weight, colour, originating and arrival address. Once you get to Panama, it is okay to feel a hard time communicating especially if you do not speak Spanish. But this small nation is full of friendly locals and welcoming communities; you will find yourself adjusting in no time! Smacked right in the middle of Colombia and Costa Rica is Panama, a tropical paradise known for its vast jungles and multi-cultural communities. This small nation has broken its chains of poverty and transformed from a third-world country to one of the most promising expat destinations in Central America. An estimated four million people enjoy the enormous land and water resources of Panama. Aside from the Panama Canal, the country is also known its architectural beauties such as the Panama Viejo, Mi Pueblito, Centennial Bridge, and Cerro Chirripo. This highly urbanised country with a land area of 75,517 square kilometres creates excellent opportunities for expats and locals alike. With its tropical climate, hopping from one area to the next is an enjoyable pursuit. Nature’s beauty combined with low cost of living, modern infrastructures and an excellent selection of international schools are the top reasons why you will fall in love with one of the most alluring countries in the Americas. A huge majority of today’s kids are too attached to their gadgets and gone are the golden days when the children used to frolic outside while enjoying the presence of Mother Nature. The good news is that Panama is such an attractive country blessed with acres of natural beauty whereas the outdoors is too irresistible even for the most technology-dependent kid. From the serene lakes to the divine beaches and vast luscious forests, fun in Panama means spending the rest of the day away from the metropolitan madness. One of the best family-oriented places in Panama is the Soberania National Park and Monkey Island where you will see various animals, the Gamboa Rain Forest and the Indian Village while learning about Panama’s rich culture. Another popular destination that the kids will surely love is the Polo Beach, the most beautiful untouched beach in the Carribean. Here, your family will see some of the rarest fruits in the world that are only grown in Panama, acres of farmland and a stunning view of the Bastimentos. 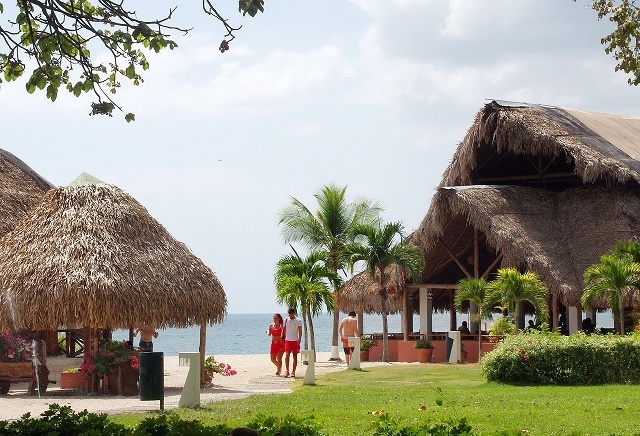 Panama also boasts 13 national parks and marine parks where expats can relax or picnic with friends and family. Other outdoor activities in this country include scuba diving, swimming, boating, kayaking, fishing, camping, hiking and rock climbing. Native American, Spanish and Africans are the three primary cultures that influence the Panamanian cuisine. Considering that Panama is the isthmus in that connects south and North America, expats can also expect that this country has an abundance of tropical herbs, fruits and vegetables. Authentic Panamanian foods are mildly flavoured whereas the common ingredients are rice, wheat flour, yuca (cassava), plantains, seafood and a variety of meat such as pork, beef and chicken. Corn is also a staple in the local dishes but contrary on how it is prepared in most Latin American countries, the kernel here is cooked first in water and then grounded to make thick dough. Some of the must try foods in Panama are empanadas (meat or cheese wrapped in flour or corn dough), Arroz con camarones y coco (rice mixed with shrimp and coconut milk), Mondongo a la culona (stewed beef tripe), Lengua guisada (stewed beef tongue), Pernil de pueco al horno (roasted pork leg) and Plátano en tentacion (ripe plantain cooked in sweet syrup). Spanish is the official language used by the Panamanians. The Spanish used in Panama is quite similar the one used by the Puerto Ricans. Here, people pronounce ‘h’ instead of‘s’, and they tend to drop the ds at the end of certain words. Though this country has seen its fair share of English-speaking tourists and immigrants, it is still relatively rare to hear someone who speaks the universal language even in stores in the city or major tourist destinations. It will be extremely helpful for expats to learn even the basic Spanish word and phrases before flying into Panama. What’s your name? - Cómo está usted?